With the nomination of Brett Kavanaugh to the Supreme Court, there is lots of speculation about what rulings might be revisited and possibly changed with his addition to the Supreme bench. One topic is the Massachusetts vs. EPA decision which gave EPA the opening to decide CO2 endangered the US population. But many do not yet grasp how flimsy and limited is the CO2 endangerment decision by EPA. As we shall see below, it was narrowly constrained to mobile sources of emissions. To extend that to stationary sources like power plants is a whole different ballgame, and one EPA is unlikely to win even if it tried. That is why the Supreme court stayed the Clean Power Plan, even with Judge Kennedy active. More detail and the technical issues are expounded below. Robert Henneke writes a fine article in Washington Examiner Trump has a chance to rein in Obama’s out-of-control EPA Henneke is is the general counsel and director of the Center for the American Future at the Texas Public Policy Foundation. Excerpts below in italics with my bolds. The Environmental Protection Agency has sent its replacement for the Clean Power Plan to the White House. We don’t know what’s in it (it won’t be released until the White House has a chance to review it), but we know what should be and what shouldn’t. The new plan should restore the rule of law to an out-of-control agency. The EPA must abide by the rules set by Congress, particularly in the Clean Air Act, rather than lawlessly assuming authority it doesn’t have, as it did through the Clean Power Plan. The new plan must not repeat the mistakes of the CPP. Carbon dioxide is the supervillain in the story of global climate change. The EPA declared even naturally-occurring CO2 as a pollutant in 2009, then sought to regulate it in the Clean Power Plan. Fortunately, the plan was stayed by the Supreme Court before it went into effect, and it remains in legal limbo. But in December of that year, the advance notice of the new rules, the EPA indicated it would repeat some of the same mistakes of the CPP in its new guidelines. First, EPA is not allowed to regulate greenhouse gas emissions from stationary sources (power plants) under Section 111 of the Clean Air Act. Why not? Because all emissions from such sources are already regulated under Section 112. Regulators don’t get two bites at that apple. Congress expressly prohibited such overregulation to avoid burdensome, duplicative rules, and it required the EPA to choose only one avenue. But EPA has regulated coal-and-oil-fired electric generation unit emissions under Section 112 since 2000, and in 2012, it began regulating all fossil fuel-fired electric generation unit emissions under that section. Second, to proceed under Section 111, the EPA is required to make an endangerment finding under the criteria for stationary sources. But there is no endangerment finding – not under the Obama administration and not now. To justify its overreach, the EPA has pointed to the endangerment finding it made in 2009 in connection with mobile source emissions (cars and trucks, etc.) under a different provision of the Clean Air Act (Section 202). But that endangerment finding simply doesn’t apply. It doesn’t meet the criteria of Section 111, that a pollutant from stationary sources endangers the public health and welfare. Instead, it found that an aggregate of six different greenhouse gases, emitted by mobile sources, is a danger. Why is this difference important? Section 111 permits regulation only from “a category of sources . . . [which] significantly causes or contributes significantly to air pollution [that endangers health or welfare].” This “significance” requirement is not found in Section 202. So, the EPA would have an insurmountable task in finding that American power plants “significantly” cause or contribute to the levels of carbon dioxide thought to aggravate climate change. Carbon dioxide is ubiquitous and worldwide in scope, making any such finding fraught with peril. Given emissions of carbon dioxide worldwide, it is highly unlikely that the EPA can specifically point to greenhouse gas emissions from American power plants as a significant cause of endangerment of health or welfare. Finally, if the EPA is to regulate carbon dioxide emissions from power plants, it must proceed under Section 108 of the Clean Air Act, not Section 111. Section 108 is the regulatory path Congress prescribed for air pollutants in the “ambient air” emitted from “numerous or diverse” sources, while Section 111 is the instrument for emissions from specific source categories that pose local pollution concerns. 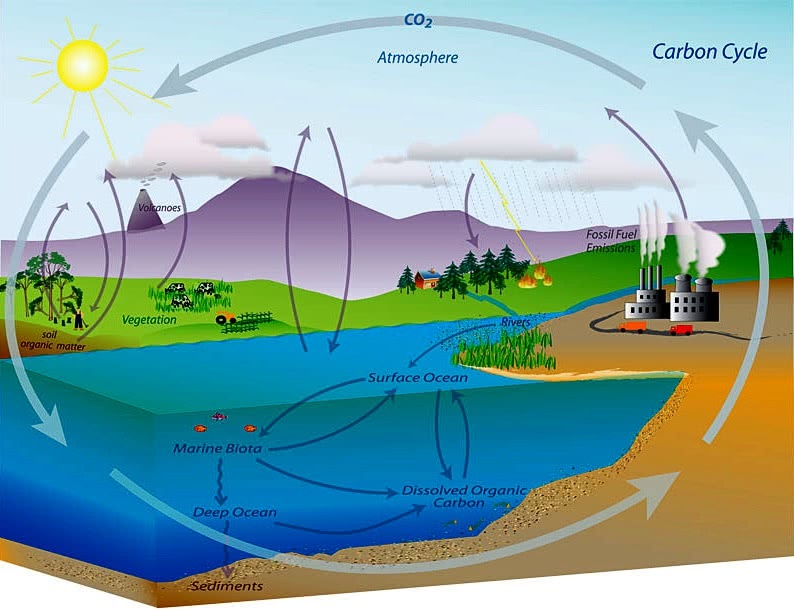 Carbon dioxide is the very model of a ubiquitous substance emitted into the “ambient air” from “numerous or diverse” sources. EPA cannot short-circuit the regulatory framework hard written into the Clean Air Act under section 108 by jumping to another section of the act. The Clean Power Plan represents the worst of the regulatory abuses of the Obama administration. Its mistakes must not be repeated. When it comes to the new plan, less is more. Texas serves as the model for success, where a deregulated electricity market has resulted in abundant energy and cleaner power plants as electricity companies adopt the latest technologies as a way to increase efficiencies and maximize profit, all while resulting in a cleaner environment. That’s the way forward for the Clean Power Plan’s replacement.